It was another great evening with Scottie friends before Mom’s Tuesday tests. 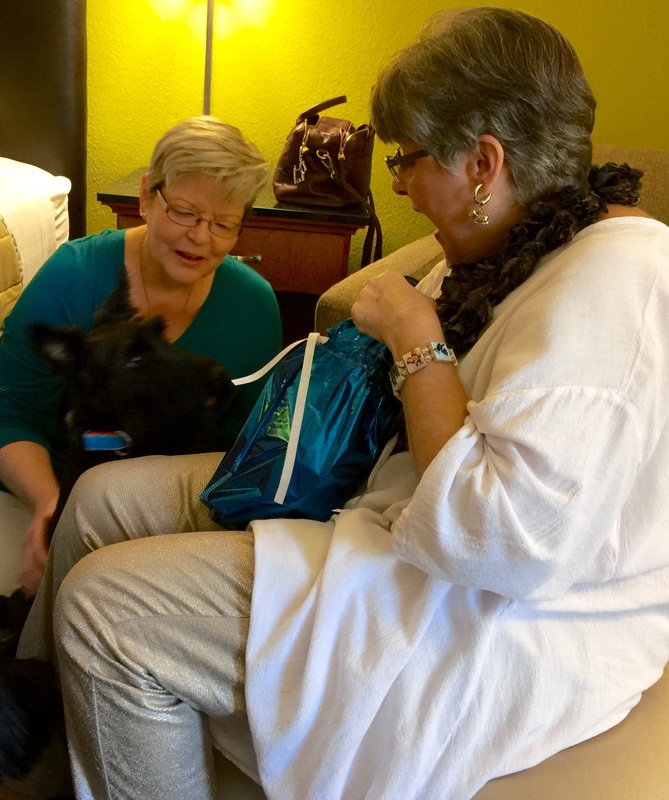 Leah McIntosh and Barbara Brandt came by to see us. 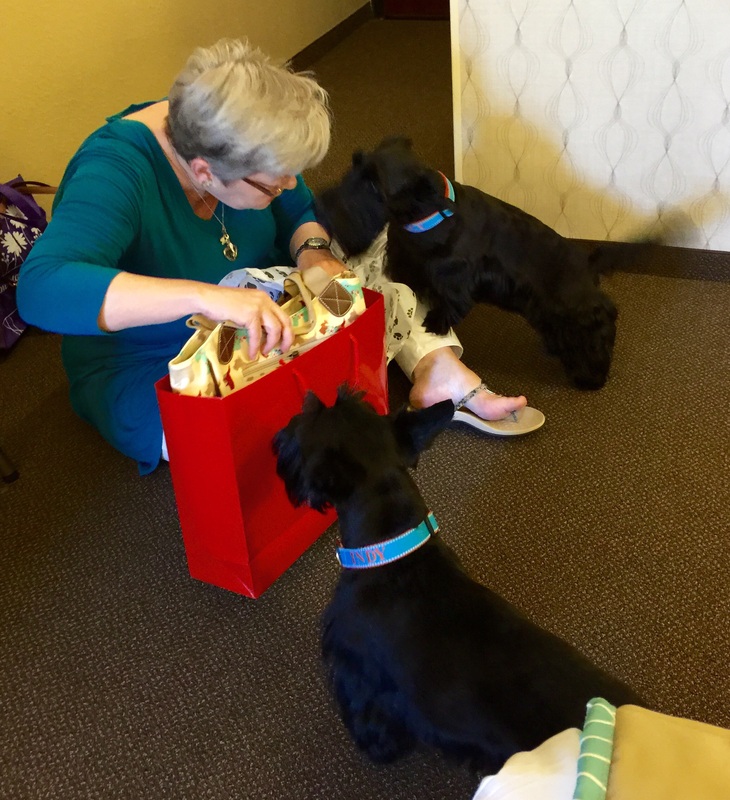 We are helping Leah open the presents Mom got her and Mac. 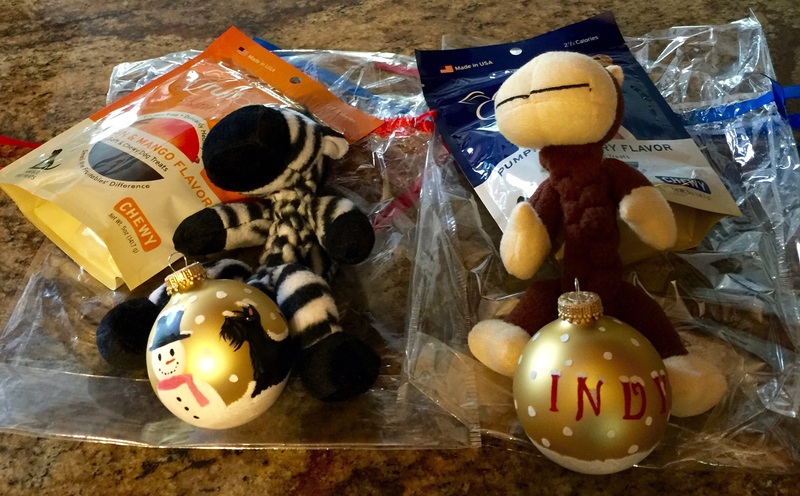 She gave us treats, toys and these wonderful Christmas ornaments by Manna Nelson. They have snowmen, Scottie and our names on them. Love! Barbara Brandt got some presents too. 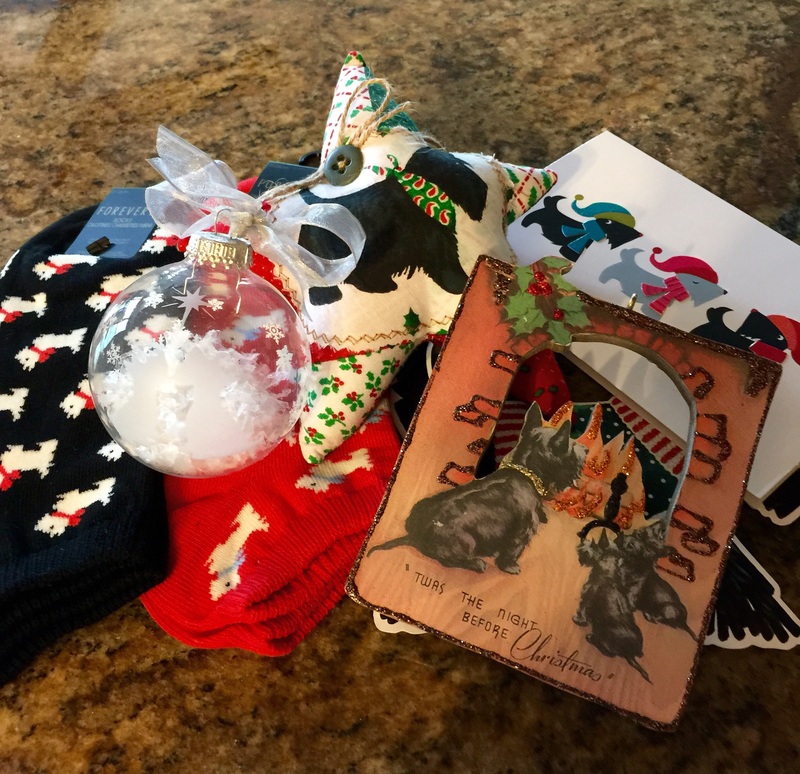 Mom received some more lovely ornaments for our Scottie tree, socks and a tote that is in another pic. Sorry. It’s been just like Christmas. 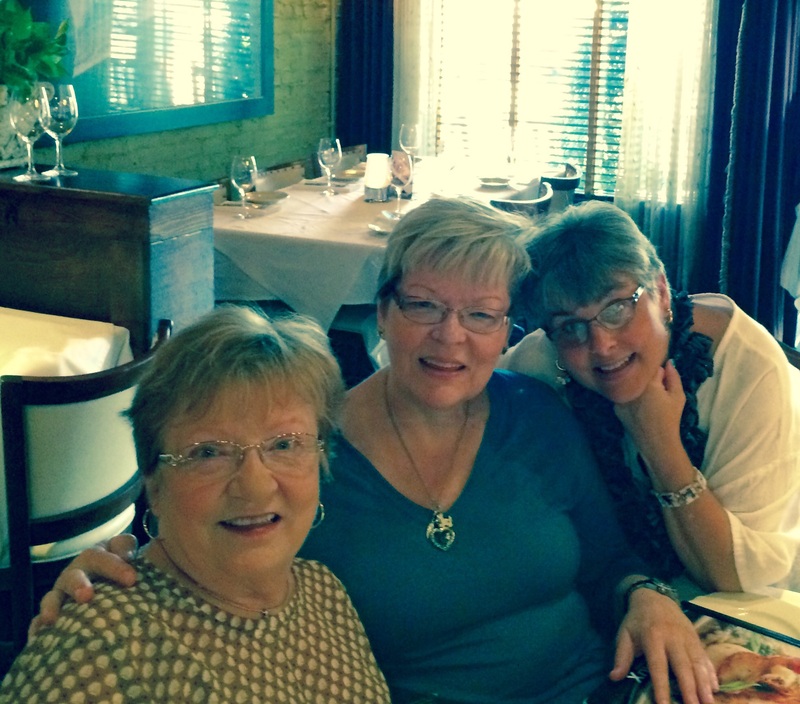 Here are the three of them at Pappadeaux…Steve and Dad not pictured. LOL. Mom said it was another fab evening. Mom had her tests Tues. We came home on Wednesday since Dr. Komaki was out-of-town. Usually Mom sees her the next day for results but this time we have to wait. We’ll let you know though.